“We are proud to see the nation grow every day. What we have achieved is the contributions of our fellow citizens and private partners who trust the government, led by the CPP, the only strong party who liberated the nation from Pol Pot genocidal regime,” he added. 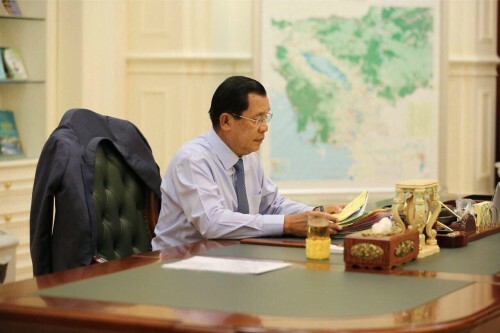 Cambodia has just been fully reconciled for 20 years (1998-2018) under Prime Minister Hun Sen’s win-win policy. Once a country receiving UN peacekeeping force, Cambodia has now become a country that sends it troops to serve under the UN peacekeeping missions in many countries. Since 2006, Cambodia has sent 5,783 peacekeepers, 277 females, to carry out UN peacekeeping missions in Sudan, South Sudan, Lebanon, Cyprus, Syria, Chad, Mali and Central African Republic, according to Kosal Malinda, spokeswoman of Cambodia’s National Center for Peacekeeping Forces and Explosive Remnants of War Clearance. Currently, 813 Cambodian peacekeepers, 50 females, are carrying out UN peacekeeping missions in five countries.